Tap and die sets serve many industrial and manufacturing purposes. Both taps and dies are used to create screw threads. Some sets are used as cutting tools, and others to form the threads. Taps cut or form the female of a mating pair or nut, while the die cuts or forms the male, or bolt. Tapping is the tap-process of cutting or forming threads, and the die-process is called threading. Using tap and die sets to clean threads, is called chasing. These adaptable tools are key to quality control across numerous industries. Turn to Thread Check for a curated selection of the best and most durable sets available. Thread Check carries boxed tap and die sets in a broad range of sizes and can readily supply any quantity required. Our inventory includes Metric Feeler Gauge Sets, Acme Thread Set Plug Gages, Class ZZ Plain Pin Gage Sets, as well as plug and ring gage sets. 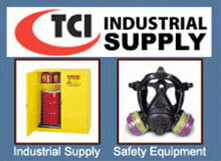 We additionally stock several custom sets in popular sizes that may meet your individual requirements. We additionally offer empty custom boxes with cushion inserts to store your taps, dies, gages, drills, mills, etc. 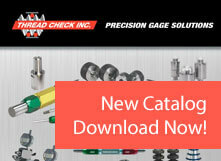 Whatever your need, just send your tap and die set specifications to info@threadcheck.com or fax to 1-800-767-2034. If you’d prefer, fill out our form, or call us directly at (800) 767-7633 (USA and Canada) or (631) 231-1515.